My Eli story is one I wanted to tell at Eli’s service but I knew I just could not do so. I read a post about Eli and Paul’s request to help raise money to fight cancer on the XLForum which I have been a member of for years and I was shocked. I had never known any kids that have had this horrible disease. Like many other forum members I promptly made a donation. I began following Eli’s story on the forum and at one point sent a message to Paul offering to take Eli up for a plane ride. I did not receive a response from Paul so every once in a while I would send him a message with my offer as soon as Eli was up to it. I am sure Paul thought I was crazy! As Eli’s health improved and he started selling lemonade as his Alex’s and Eli’s Lemonade stand some other members and I started making the ride down to Oxford to support him and I met Eli for the first time. All I can say is wow, what a great kid. There was just something about him that made you want to be his friend. Finally in September 2008, Paul accepted my invitation and we discussed the flight. 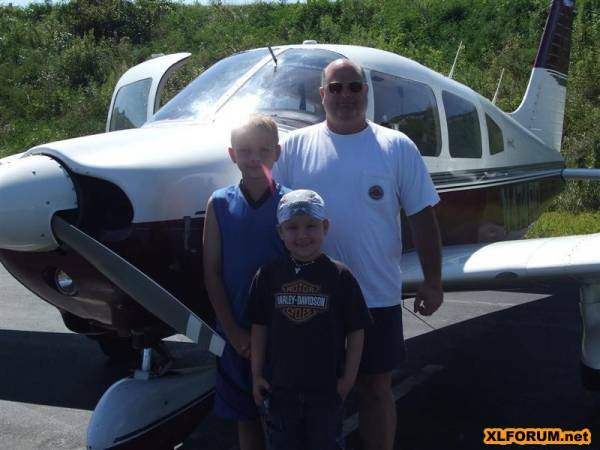 Due to Eli’s medication making him nauseous, Paul was unsure if Eli would be able to make a long flight so we agreed to make a quick flight around the pattern at Chester County Airport which was near their house. Eli, Paul, and Austin made the flight with Eli sitting up front with me. We made the trip around the traffic pattern and landed and I asked Eli if he was ok. He said he was and I don’t recall exactly what he said next but a few moments latter we were back in the air flying around the area. We probably spent 45 minutes or so flying about. 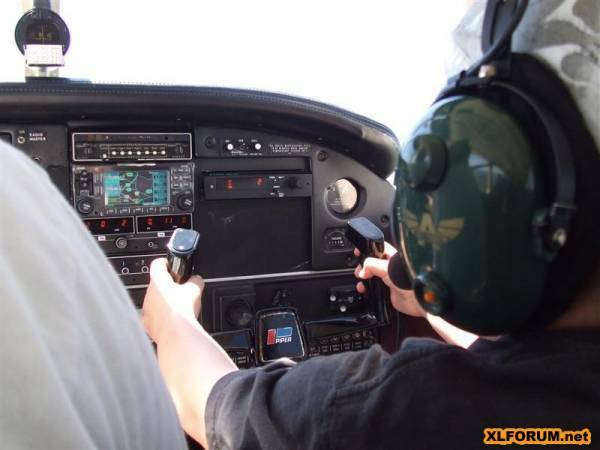 Eli even got to fly the plane for a bit and I could tell he was a natural! After we landed we all had lunch together. If I recall, Eli was grinning ear to ear the entire time. Unfortunately, Eli got sick again before we could go for another flight. I had hoped to take Eli up past New York City to see the Statue of Liberty from the air, but unfortunately it wasn’t to be. When Eli got sick for the last time I was devasted like everyone else, and was in shock when he passed. As I sat there in the church listening to all his friends and family talk about Eli I started to think about life in general. At the time I was probably 50 or so pounds overweight, with only myself to blame for it. Here I was at a funeral service for a 10 year old who was taken from us by this horrible disease through no fault of his own. It was at that point I decided to take my health back and start losing the weight I had told myself I would lose for the last few years. Its been a long fight, but I have since lost 25 pounds. Thats my story on how Eli touched me. Austin has taken over his brothers lemonade stand to continue to raise money for the Alex’s foundation. Eli bELIeved in a cure for Childhood Leukemia. Come on out to our house (front yard) on June 11th from 9:00 am till 4:00 pm and have a cup of lemonade in Eli’s memory. May 14, 2011 what a great Celebration of our Eli’s Life. Eli would be so happy to know the event raise $9,346.00 I still need to get the money raised from J’s water ice as they are donating a portion of their Proceeds from May 14th. Also the Kick-A-Thon that was held by Bill Hammond’s Martial Arts Studio in West Grove, PA raised over $5,000.00 more money was turned in on Monday. 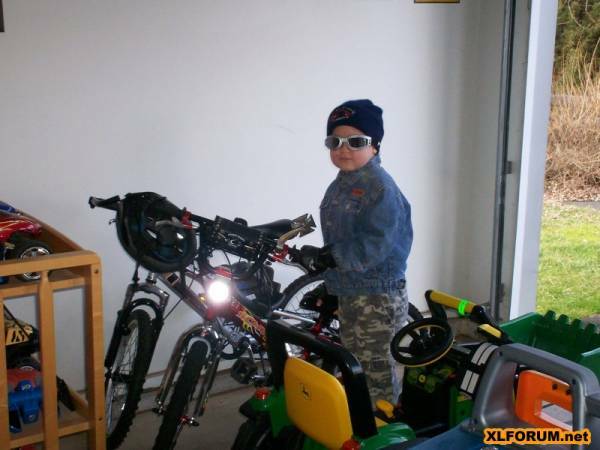 Just to let you all know Next Years “Brave Eli’s Ride For A Cure Against Childhood Leukemia” (Beef & Beer) is set for May 19, 2012. More info to follow. On November 27, 2000, Eli came to brighten our lives. He charmed, inspired, amazed and overjoyed us during his very short life. On January 20, 2011, at the age of 10, Eli left this earth; he escaped leukemia’s grasp and became our Angel in Heaven. God Bless His Family and the Friends he left behind. We are encouraged by his bELIef in God, who gave him the strength to endure the struggles he had with his cancer and we bELIeve he is now restored and safe in Heaven. In honor of his memory the Eli Seth Matthews Leukemia Foundation has been established. As the foundation’s funds grow, it will carry on the fight to end cancer’s grasp on children’s lives, especially those stricken with leukemia. This would have been what Eli would have wanted to do with his life, if he had been able to reach adulthood. His goal was to help others. To donate go to BraveEli.com and click on the Donate tab. Tell us your Eli story! Eli was an amazing boy who touched the lives of all of those who knew him. The bravery he displayed is an inspiration to us all. I would like to invite everyone here to share their Eli story or stories with us. If you would like to share your stories please email them to me at bplinson@gmail.com and I will post them here. Please let me know in the email if you would like me to include your name or have it posted anoymously. I never met Eli or Paul but one day Paul contacted me and asked if he could post information about his son on an Internet forum that I run. I immediatly said yes and created a post to introduce Eli to 40,000 other people. This forum thread can be found here – LINK . The thead started on Jan 20, 2008 and continues to be updated (free registration is required to read the entire forum thread). Through this thread Eli and Paul kept us all up-to-date with the progress Eli was making. Eli made friends with, and touched the lives, of thousands of people all over the world. We all looked forward to reading about and keeping up with Eli. It was a great shock when the post about Eli’s passing was made. I was frozen and did not want to believe that it was true. With that one post a part of the lives of thousands of other members of the forum was taken away. Location: Dravo Plaza, Willmington Riverfront, Willington DE. T-shirts and refreshments will be available. Cost: $18 preregistration till June 15th. $22 after June 15 and day of race. Therefore, we have created a website for our Eli. This website will be updated to show you upcoming events, as well as a photo gallery from the events that we hold to raise money for the Eli Seth Matthews Leukemia Foundation. You will see on the site two listed organizations. One is the Alex’s foundation that Eli loved and raised a lot of money for. Eli bELIeved in a cure for leukemia and we will continue to support this foundation in Eli’s memory. Austin has taken over the Eli and Alex’s Lemonade stand. At the last event we had during the Oxford Little League parade and pancake breakfast we raised over $1,700.00. The other listed organization is bethematch.org. The more people that are registered on this site the better chances a child will have for a good match for a bone marrow transplant. We must advocate for our children because they can’t. The lack of funding for childhood cancer research is horrific! We should not have to go to Washington, DC and ask congress for more funding to save the lives of children in the world when this should be their goal. So much money is wasted on meaningless things and destructive acts instead of using funds to give life to our nations future – the children. Let’s find a cure together! Please visit BraveEli.com and register on the site. Share the site on your Facebook by clicking on the SHARE links. The Adsense links on each post and on the side help raise funds for the Eli Seth Matthews Leukemia Foundation. You can help out by visiting the ad links you are interested in. Be a part of the events in memory of Eli. We can only win this fight together so please let me see your name registered to the site. I will tell you there is more work to be done on the site, and my friend Bert in Germany is the one putting the site together and this is a blessing to us. Bert is the owner of the XLForum that Eli was a member of and I still am. So thank you all for being the support we need to make this a total success. Let’s kill Childhood Cancer and let’s give these children more hope (and a future) for a real cure to this terrible and senseless diseases. ﻿﻿﻿﻿﻿﻿Eli’s Run will be held on June 4, 2011 at the Oxford area High School. All proceeds will go to the Eli Seth Matthews Leukemia Foundation. There will be a 1 mile Fun Run beginning at 9:00 AM and a 5 KM Walk/Run at 9:45 AM. The $20.00 registration fee can be paid on the day of the even between 8:00 – 9:00 AM. We will be having a celebration of Eli’s life at Redman Hall Oxford, PA. The tickets will be $25.00 each. There will be food, drinks, family, friends & live bands. The evening will be dedicated to honoring our son as we miss him terribly. All proceeds will go to the “Eli Seth Matthews Leukemia Foundation” to help find a cure for Leukemia. Specifically Acute lymphocytic leukemia (ALL). This event will be for ages 21 and over, and will start at 6:00 PM. If you own a motorcycle and would like to join me please be at the Redman Hall at 4:00 PM we will ride to Northeast MD to visit Eli. Eli will hear thunder in HEAVEN. For tickets Contact Kristen Carter @ 484-614-5399 , Julia Oatman @ 484-880-8487 or Kim Webber @ 302-250-6346. You can also e-mail Kim at kwebber@zoominternet.net.